Pima County, in southern Arizona, is a county of great contrasts. You have the city of Tucson to the east and Organ Pipe Cactus National Park to the west. In between there's lots of temptation to speed along some rural roadways. If you go sailing through the county on I-10 or one of the rural roads though, you could end up with a traffic ticket. Yeah, there's nothing like seeing those flashing lights in the rearview mirror to make things a little hotter in the desert. There is some good news for those who get a traffic ticket in Pima County Arizona, however. You can get a traffic citation dismissed under certain circumstances just by attending a Pima County AZ defensive driving course. Want some even better news? You don't even have to attend a class somewhere and listen to a boring lecture. You can take a Pima County online defensive driving course. Can you stand some even better news? You have the option of taking your Pima County defensive driving class online from An Online Defensive Driving Course by Improv. 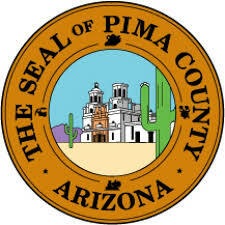 It is true, the world famous Improv Comedy Club has an online Pima County Arizona traffic school and it is approved by the Arizona Supreme Court. This Arizona comedy defensive driving class makes taking your online traffic course fun and entertaining. If you ARE eligible for Arizona online traffic school, the benefits are pretty inviting. You will not have to make a court appearance for the charge that attendance vacates. That particular charge will be dismissed. You may be eligible for lower insurance rates. You will be smarter and may even learn a few new jokes. Arizona Defensive Driving Course for Traffic Ticket Diversion. This is a course designed for those who have the option of getting their traffic ticket dismissed by successfully completing the course. Successful completion will also stop additional points to be added to your driver's license. Arizona Court Ordered Defensive Driving Course. This course if for those whose options are a bit more limited. The court has told you need to complete Pima County remedial driver education defensive driving course and we have just the one to minimize your boredom. Arizona Defensive Driving Course for Insurance Reduction. You may opt to choose our Pima County AZ defensive driving class to reduce your insurance premiums. Many Arizona insurance companies today are offering discounts, some as high as 15% or more just for taking an Arizona online defensive driving course. Guess what? The Improv Comedy Traffic School can help you save some cash while learning and having some fun. Be sure to contact your insurance company for specifics. Since the Improv Arizona traffic school course is online, it gives you freedom. It gives you the freedom to log in and log out as you choose. It provides freedom to take the course from any online computer, anywhere. It can also give you freedom from a court appearance. An Online Defensive Driving Course by Improv fee is the lowest that is allowed by Arizona law. Your fee includes our reporting your successful completion to the Pima County Court who is handling your case, the Arizona DMV, as well as the Arizona Supreme Court. Your certificate of completion for your records is included free and can be downloaded within a half-hour of your course completion. So you know under certain circumstances you can wipe a ticket off of your driving record simply by taking an Arizona online driving school. Who is eligible? Let's take a look. The violation code that is listed on your ticket matches up with one that is listed in the fine-sanction schedule. The violation you are charged with is not the result of an accident that involved a fatality or serious physical injury. You have not already paid your fine or had a trial or hearing date set for your case. You have not previously had a ticket dismissed via attending a defensive driving class in the state within the past two years. You are charged with a Class 1 - Criminal Misdemeanor. First off, do not delay. This is a perishable opportunity! Get started by reading both sides of your ticket. Remember, you must respond on or before the date that is shown in the "Notice to Appear" area. That is located on the front of your ticket. If you should fail to appear or not otherwise contact the court, or if you fail to complete one of the options that follow, you could be subject to additional financial penalties, license suspension or even arrest. If you thought getting a traffic ticket was unpleasant you have not been cuffed. If you wish to attend a Pima County online defensive driving school there are some steps you need to take. DO NOT pay your traffic citation fine to the court. If you pay the fine that is an admission of guilt and a signal that you do NOT want to attend traffic school. If you wish to attend traffic school, the school will collect and forward any fees to the appropriate agencies on your behalf. Sign up for Traffic School ASAP. Arizona needs you to finish your course at least seven days before your court appearance date. We suggest ten days to allow enough time to successfully complete the course and for processing. Submit the proper documents. After registering for the course, make sure you follow instructions related to the proper submission of required documents. This will assure your eligibility for traffic school. Get ready to enjoy your Arizona online traffic school experience. It is a 6-hour, easy to understand and complete course that is sure to get you smiling! Pay the fine. This in essence, is a plea of guilty and will result in your violation being reported to the Motor Vehicle Division of Arizona. Contest the ticket by requesting a trial-hearing date. This will allow you to represent yourself or obtain a lawyer to fight the citation in a court of law.